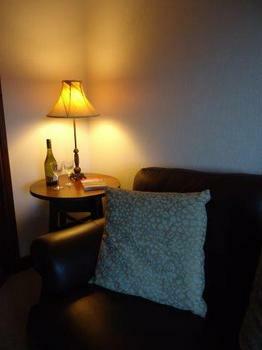 Quiet location ideal for couples. 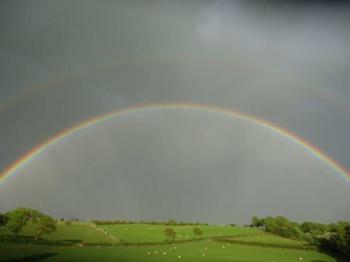 Welcome to Wern Bach. 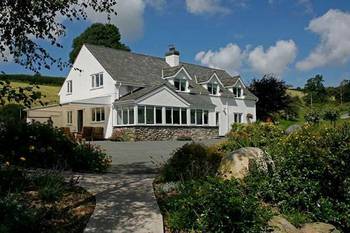 Set in stunning countryside on the edge of Snowdonia nestling in the secluded lower slopes of the Hiraethog Moors this pristine converted farmers cottage offers the discerning visitor a 4* Visit Wales holiday experience. Whether your desire is a peaceful, romantic getaway, an action packed outdoor adventure down on the farm Nia and Rhys are on hand to ensure your stay will be memorable. 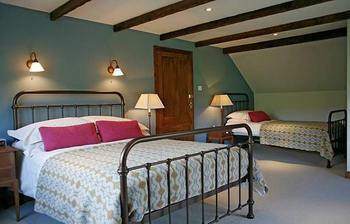 Wern Bach has an excellent reputation not only for its rooms which combine the traditional craftsmanship of the old Welsh farmhouse matched with high quality contemporary furniture and furnishings but also for its stunning views, quality of service and locally sourced home made food. 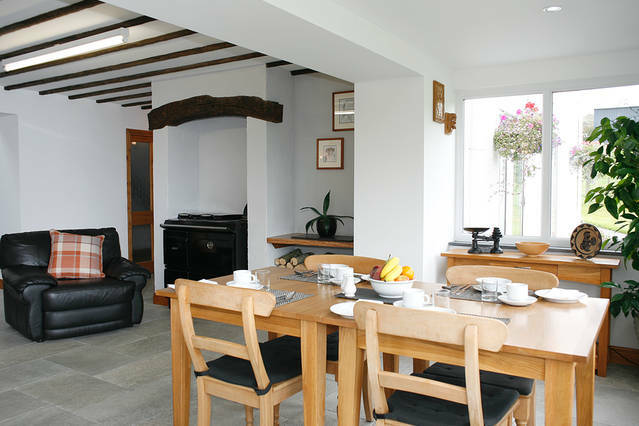 Traditional farmhouse, continental or dietary need breakfasts are served daily; for the early riser, adventurer or explorer packed lunches can be provided on request. 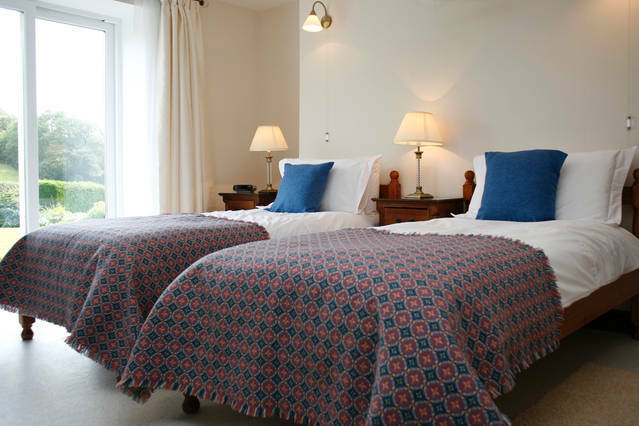 The two en-suite bedrooms are well-equipped, individually furnished and styled with co-ordinating linens and drapes. 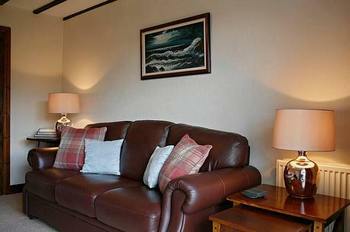 LCD TVs with DVD, tea and coffee facilities, hairdryer, radio alarm and free Wi-Fi access complete each room. Beyond the double glazed windows the distant Hiraethogs rise to the skyline. For our active guests we provide secure bike, canoe and outdoor equipment storage and drying facilities. 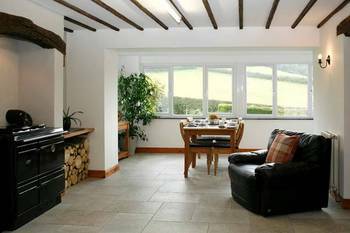 Located at the end of a country lane Wern Bach offers unlimited, safe and secure parking. Beyond the drive guests are invited to walk the adjacent paddock and fields. A private path leads to a pond and nearby brook. 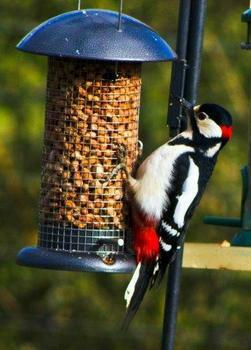 Rekindle childhood memories on the rope swing or spot the resident nesting geese, woodpecker or the rarer Red Kite. Take a stroll in the evening for a chance glimpse of nearby badgers. Things to do. Places to go. Sights to see ! A wonderful, magical, remarkable country; as quoted by Griff Rhys Jones whilst filming his BBC journey through the principality. So, what are you waiting for ? Just a 20 minute car ride day trippers can be at, Betws y Coed, Llandudno, LLyn (Lake) Brenig or the World Heritage Site of Conwy and its imposing castle. Thank you for a peaceful last minute retreat beautiful accommodation. Thank you for looking after us so well officially the most comfortable bed in Wales. Perfection! We feel as though weve had a weeks holiday, stunning location a warm and friendly hostess, food is excellent. Be back in October for Autumn colours. Cant wait. This is the most magical and peaceful place we have ever stayed in. Thank you so much for making us feel so welcome in your home. Be sure we will be back next year.